Enter to win a picture perfect Valentine’s Day Getaway! You and a guest will receive a 3-night stay in Seaside, Florida plus a romantic prize package from Cottage Rental Agency and the beach lifestyle brand 30A®. A perfect chance for romance! Winner to receive lodging accommodations February 9-12, 2018, complimentary welcome gifts, two bike rentals, and a $100 gift card from the 30A Store. 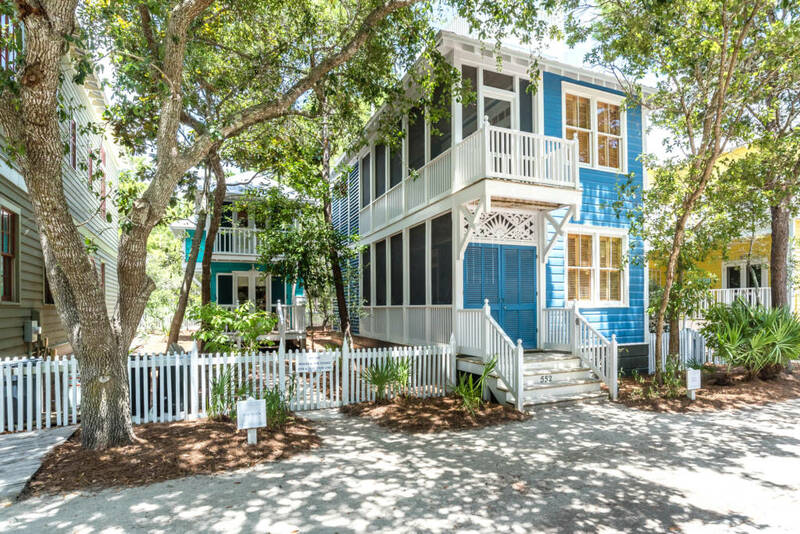 The cottage chosen for the stay is the adorable Little Lodge, recently featured in Coastal Living Magazine as a perfect place to stay in Seaside, FL. It has 2 bedrooms and 2 baths and is praised by guests who return again and again. The sweepstakes begins January 5, 2018 and runs through Jan 22, 2018. The winner will be chosen at random within 5 days of contest end. 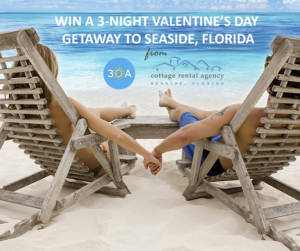 Enter to win the Romantic Seaside, Florida Giveaway at the contest site.